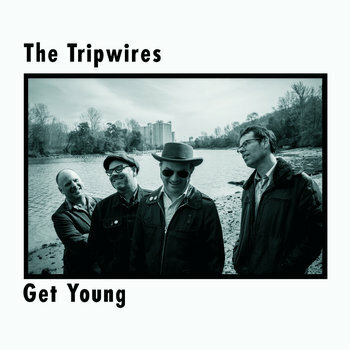 The Tripwires-Get Young. It's been a long five years to wait since their last album, but The Tripwires are back. This Seattle "supergroup" (consisting of members and former members of The Model Rockets, The Minus 5, Screaming Trees and Mudhoney) is hands down one of my favorite power pop bands as they do what so few bands are doing these days - playing pre-80s-styled power pop/pub-rock a la Rockpile and NRBQ - and doing so with one hyper-catchy tune after another. The opening title track seems a nod to Big Star, with its "O My Soul"-styled guitar riff and opening line "spilling into the street", but quickly becomes their own kind of rave-up. There really isn't a bad track here with just about all of them clocking in between 2-3 minutes, a testament to how tight their sound is. But the ones more equal than others are "Be All End All" (which is angular-sounding enough that The Strokes could cover it), "Production Sedan" (someone call Terry Anderson), and the frenetic "Owner Operator" which is 2:01 of musical dynamite. Right now it's only available through the FOLC Records Bandcamp site, and still claims to be in "pre-order" even though the release date listed is September 15. Either way, enjoy the mp3s now and get the vinyl or CD later. This would even sound good on 8-track. 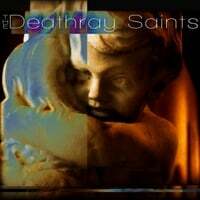 The Deathray Saints-The Deathray Saints. Not to be confused with John Dufilho's The Deathray Davies, this San Francisco band has crafted an interesting debut album that's part indie rock, part melodic rock/pop. Other than that I can't tell you more about them as they don't seem to have a website or Facebook page, making them as mysterious as the infamous Mozley. And perhaps that's fitting as their sound, while melodic, has a mysterious feel to it. I was drawn in by opening track "East of Eden", which has a Smithereens' "Blood and Roses" feel to it and a sneaky hook. The acoustic guitar-based "Down" is another treat, reminiscent of Portland's Derby, another personal favorite band of mine. And the midtempo "The Stars Have Let You Down" sounds like a lost alternative classic from the 90s. One thing they don't do here is skimp on the tunes; there's 17 here in all and while I can't recommend every one I can say with confidence that 10-12 of them are quite good. Cliff Hillis-Song Machine EP. It's always a good year for power pop when Cliff Hillis decides to release new material, and his followup to 2012's Dream Good is this new 7-song EP which he crowd-funded. If you weren't among those who already supported the EP you won't want to waste any time adding this to your collection. Hillis is matched by only a handful in the power pop scene when it comes to pure songcraft, and the seven tunes here are confirmation from the pensive opener "Dashboard" (which builds to a great crescendo) to the would-have-been-an-AM-Radio-hit-in-the-70s "Just One More" to the jangly, Beatlesque "Tonight". And Hillis is good for one track that instantly grabs you as a favorite - on 2008's The Long Now it was "Elevator", on Dream Good it was "Keep the Blue Skies", and here it's "Turn on a Dime" with a melody both catchy and effortless. It's going to be a real Sophie's Choice to pick between this and the Peter Buzzelle I review in July for 2014's top EP. 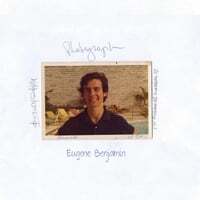 Eugene Benjamin-Photograph. This Maryland singer-songwriter's second album isn't precisely power pop, but it's a tuneful mix of pop/rock and Americana that owes a debt to Tom Petty, George Harrison and John Hiatt and will appeal to fans of artists we've featured here like Mike Barnett. The opener "Baby Blue Eyes" is a gem with a great guitar hook in the chorus, "Cindy" reminds me of a typical Petty song about a woman, "Over Me" rocks melodically, and "Good-Bye" is top-drawer jangle rock. Put this one on your music player of choice, and it will be all about the Benjamin.